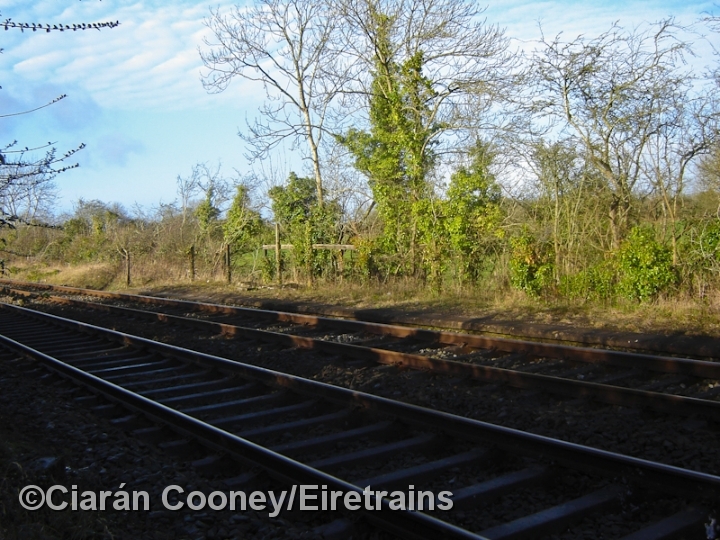 Knocklong ,Co.Limerick, is located just south of Limerick Jct on the Great Southern & Western Railway's main Dublin to Cork line. 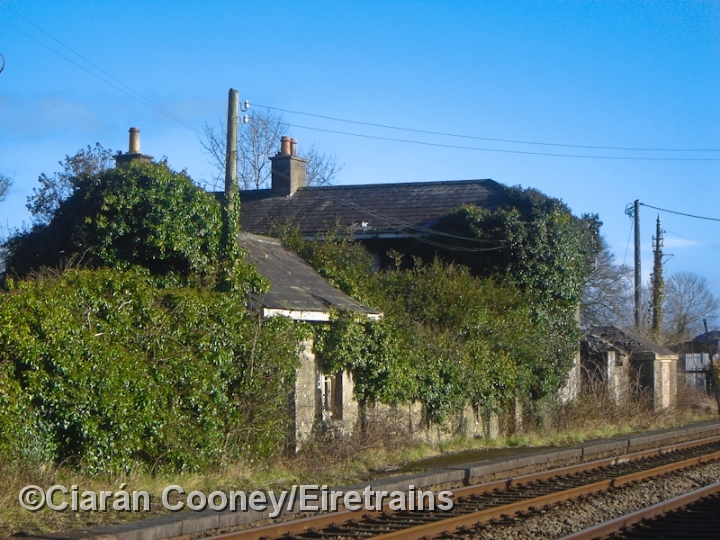 The March 1849 opened station retains its derelict station building on the up platform, goods shed and railway cottage on the down side. 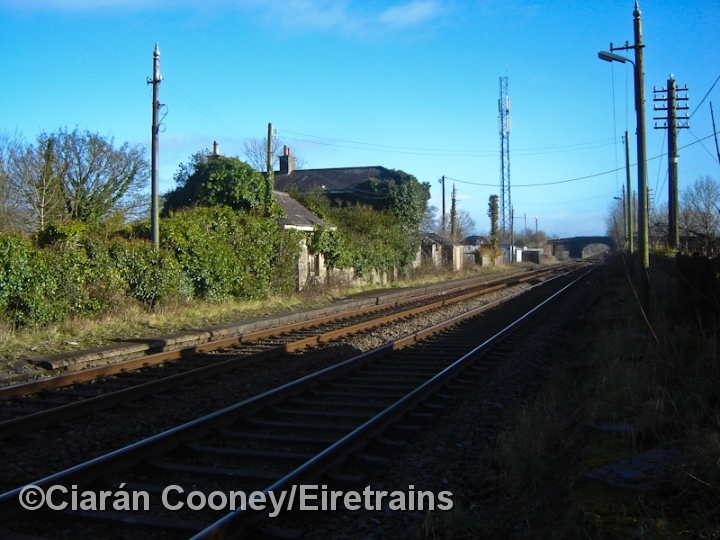 The station was closed by CIE in March 1977, but signal cabin remained in use until 1988, when mechanical signalling on the line was replaced by modern CTC signalling, with the cabin been subsequently removed. 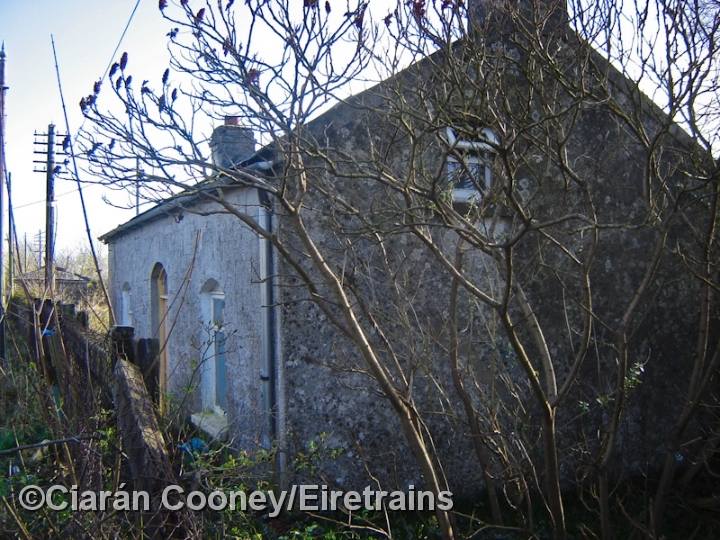 The goods shed on the down side is an unusual design constructed of concrete, and was in regular use until November 1975. 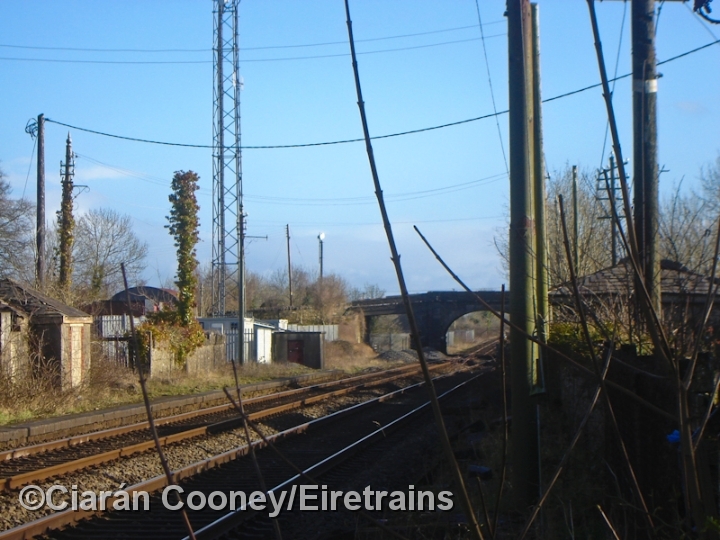 At the north end of the station is a CTC aerial & signalling relay rooms.